The first major battle over school choice came out of struggles over equalizing and integrating schools in the civil rights era, when it became apparent that choice could be either a serious barrier or a significant tool for reaching these goals. The second large and continuing movement for choice was part of the very different anti-government, individualistic, market-based movement of a more conservative period in which many of the lessons of that earlier period were forgotten, though choice was once again presented as the answer to racial inequality. This book brings civil rights back into the center of the debate and tries to move from doctrine to empirical research in exploring the many forms of choice and their very different consequences for equity in U.S. schools. 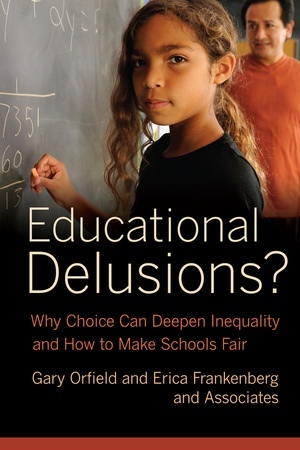 Leading researchers conclude that although helping minority children remains a central justification for choice proponents, ignoring the essential civil rights dimensions of choice plans risks compounding rather than remedying racial inequality. Gary Orfield is Professor of Education, Law, Political Science and Urban Planning at UCLA. He co-founded and directed The Harvard Civil Rights and has brought this project to UCLA. Orfield is a leader in the field of civil rights, education policy, urban policy and minority opportunity. Erica Frankenberg is an assistant professor in the Department of Education Policy Studies at Pennsylvania State University and formerly worked at the Civil Rights Project. She is the co-editor of several recent books on K-12 school integration policies.